Reading, for Clark, makes one person more responsible and more disciplined in simple ways. Among the responsibilities he has learned from borrowing books include taking good care of the books and returning them on time. The great number of comics available at the HS LRC is catching his attention. In fact, he has completed his library card for this school year, and is now on his second library card. His favorite of all the comics in HS LRC is the Fugitive from the cubicle police (Dilbert) which he found at the HS Fiction section with call number Ad1f 1996. He loves to read Dilbert because they widen his perspective on current social issues and life as a whole. an american comic strip written and drawn by Scott Adams. First published on April 16, 1989. Dilbert is known for its satirical office humor about a white-collar,micromanaged office featuring the engineer Dilbert as the title character. The strip has spawned several books, an animated television series, a video game, and hundreds of Dilbert-themed merchandise items. Adams, S. (1996). Fugitive from the cubicle police. Kansas City, Mo. : Andrews and McMeel. 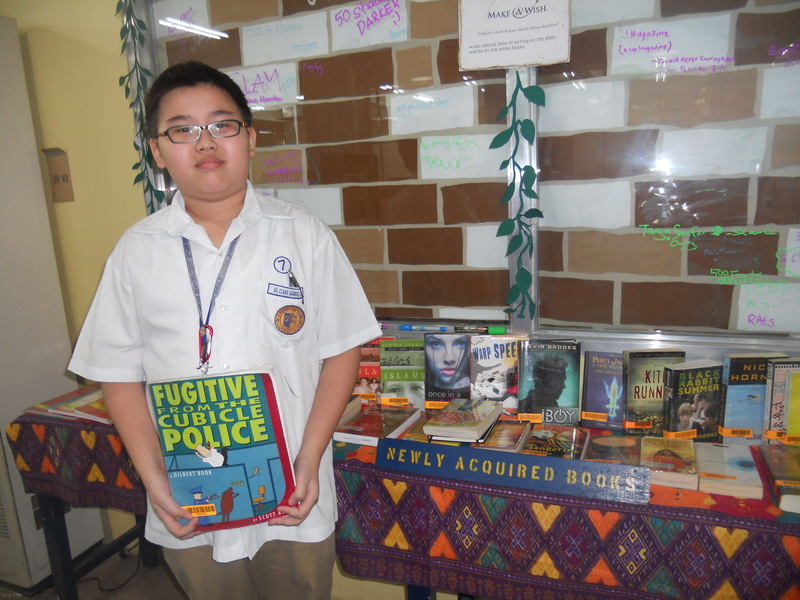 Tags: borrower card, Borrower of the Month, Clark Gabriel Co, Library Reader, Reader of the Month, student reader, Xavier HS library, Xavier HS LRC. Bookmark the permalink.